We are successfully meeting the varied requirements of our clients by providing the best quality range of Palki Sahib. 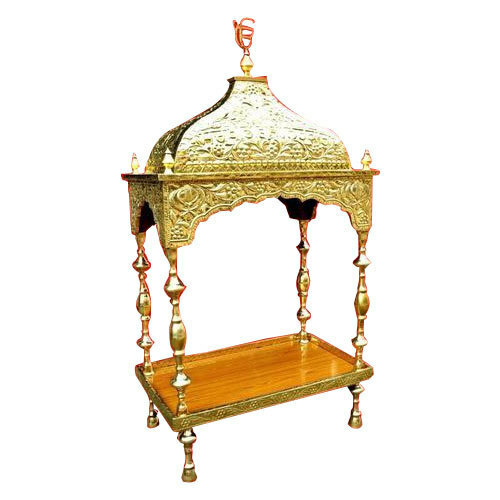 Established as Sole Proprietorship firm in the year 1971 at Amritsar (Punjab, India), we “Khalsa Furniture Wala” are a renowned manufacturer of premium quality range of Religious Symbols, Gumbad Sahib, Brass Temples, Chandoa Sahib, etc. We provide these products at reasonable prices and deliver these within the assured time-frame. These products are widely demanded by for their immaculate finish and high tensile strength. Under the headship of “Mr. Amanpreet Singh” (Proprietor), we have achieved a noteworthy position in the market.